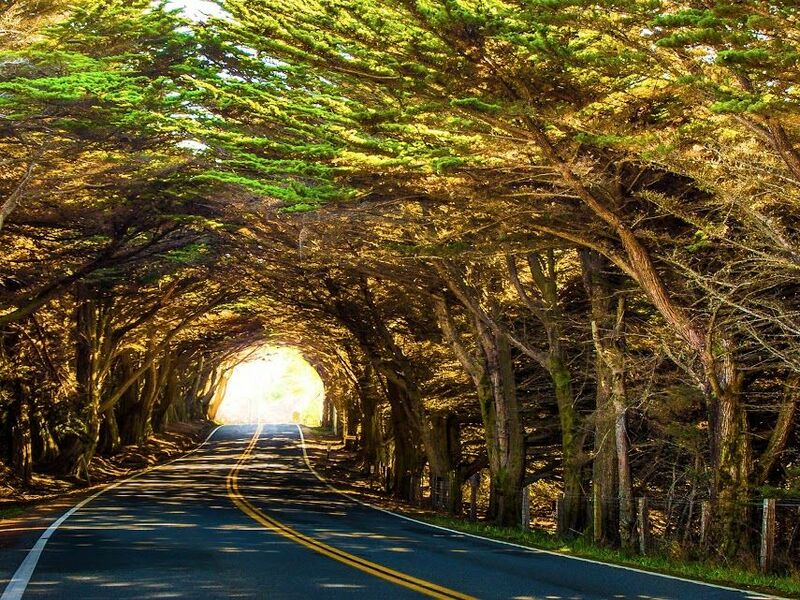 This amazing tree tunnel is located in Mendocino County, California. 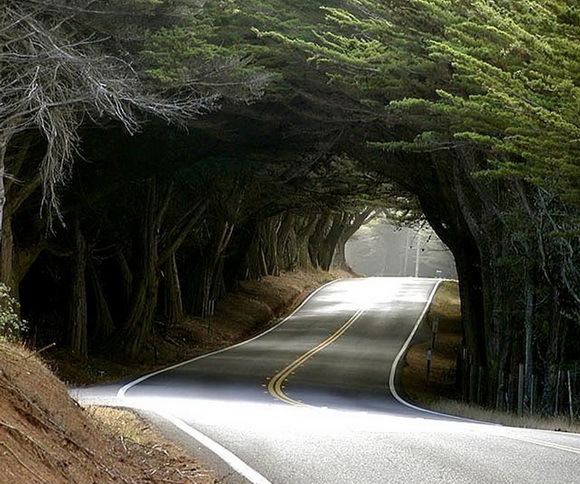 Through tunnel passes U.S. Highway 1, just north of Seaside beach. It is the most popular part of the highway between the local drivers.